Technology is having a profound impact on the healthcare field – including in the number of jobs available to qualified professionals. 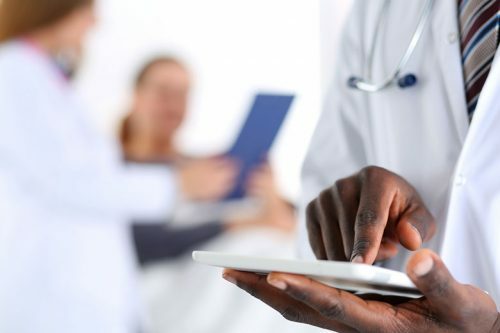 According to CNBC, healthcare providers around the world are spending more than $100 billion each year on health information technology, such as electronic health records, mobile health applications and online patient portals. As healthcare organizations invest increasing amounts in their IT, the result is more data that can be used to improve clinical practices and patient outcomes. However, that also increases the demand for staff members who can manage and leverage this information. Clinical informatics is the field that works with data and technology to improve patient care. These professionals work with the huge quantities of information collected by health organizations every day to ensure that the best possible care is being provided at every step, from registration to billing. This diverse field offers a variety of positions to professionals with experience in healthcare and data. One of the job titles that plays a particularly important role in patient care is that of clinical informatics specialist. Clinical informatics is defined by the American Medical Informatics Association as “the application of informatics and information technology to deliver healthcare services.” This study and application serves to accomplish the larger goal of improving the care provided to patients by healthcare organizations and staff members. It plays a role in most every facet of healthcare, from nursing and nutrition to pharmacy practice and more. Those who work in clinical informatics typically come from a previous role in healthcare, such as nurse, pharmacist or doctor, though that is not always the case. While a background in clinical practice is not necessarily a requirement, it shows potential employers that you are equipped with the knowledge of medical workflow, terminology and standards that is needed to be successful in one of these roles. Those who do not have a background in clinical informatics but wish to transition into working with health data typically need to earn a Master of Science in Health Informatics or similar degree to gain the necessary experience with clinical terminology and other healthcare specific requirements. Baccalaureate degree and two years of experience in health informatics. Master’s degree or higher and one year of experience in health informatics. Master’s degree or higher specifically in health informatics from a regionally accredited institution. Students are eligible to take the exam in their final semester. Though there are a number of job titles available for those who wish to pursue a career in health informatics, one of the most popular is that of clinical informatics specialist. If your interests lie in patient care and the use of data, a career as a clinical informatics specialist may be right for you. The role involves the strategy and problem-solving of a job in informatics, with the patient interaction and impact of clinical practice that likely drew you to the healthcare field in the first place. Clinical informatics specialists support providers and other care team members ensuring that clinical information systems are functioning properly and continually looking for ways to make improvements to these systems. Designing interfaces for storing and analyzing health information. Building and testing these systems as needed. Educating staff members on how to effectively use clinical information systems. Providing support for clinical staff and troubleshooting the systems when necessary. Evaluating existing systems and looking for problem areas. Analyzing and leveraging the collected data. Acting as a liaison between clinical and informatics staff teams. Planning integration across different organizational units. Developing strategies and best practices to incorporate into future information systems and policies. As a clinical informatics specialist, you will be able to work in a variety of settings, including hospitals, private practices, care facilities and other medical organizations across the country. If you already work in healthcare, you may even be able to find employment in your current workplace. In addition to being a career where you can make a positive difference each day in the lives of patients, working as a clinical informatics specialist may also be financially rewarding. According to job and salary website Payscale, the average annual salary for one of these positions is $73,324. However, professionals in this field can earn salaries that range even higher, with the top 10 percent earning incomes around $100,000 a year. If you are interested in working with data in a clinical setting, a position as a clinical informatics specialist does not need to be your final title. There are plenty of opportunities for career growth in this rapidly evolving field, including advanced leadership roles such as chief clinical informatics officer. To begin your career in this area of HI, gaining work experience in healthcare is typically the first step. Nurses are especially well-suited to pursue careers as clinical informatics specialists due to their knowledge of clinical workflow, terminology and practices. However, some professionals transition to health informatics from a background in data. Whether you are starting with a healthcare or informatics background, your next step in pursuing a career as a clinical informatics specialist is to obtain the necessary education to equip yourself with the knowledge and skills that you will need to succeed on the job. A master’s in clinical informatics is typically a good way to build on your existing education in pursuit of this particular title. If you are interested in a career as a clinical informatics specialist, consider advancing your education through an online Master of Science in Health Informatics or Post-Master’s Certificate in Health Informatics program through the University of Illinois at Chicago. In these degree programs, you will build on your existing academic and professional experiences to gain the specific knowledge of HI that you need to pursue a career in the field.